Destination Colorado is a nonprofit organization designed to provide resources and information for meeting and event planners. Among our more than 130 members, you’ll discover the solutions to every requirement and planning challenge. Our members represent the very best in amenities, activities and service that Colorado has to offer. Our mission — since Destination Colorado’s creation in 1993 — is to make the site selection and planning experience convenient and straightforward. By combining our member resources through Destination Colorado, we can efficiently inform and update meeting planners and incentive buyers about one of America’s most beloved and desirable destinations. We accomplish this through our web site, major trade shows, a meeting planners guide, cooperative advertising programs, lead referrals, and strategic partnerships. You’re invited to capture the “Spirit of Colorado” and visit our beautiful Rocky Mountain state. The fantastic variety and choices offered by Destination Colorado guarantees a fresh experience every time! Kathy has over 30 years experience in the hospitality industry. Her background includes a wide range of duties in the industry, including Director of Catering and Sales Manager at the hotel level and most recently, Senior Director of Convention Sales at the Visit Colorado Springs Convention and Visitors Bureau where she has been for over 19 years. She has been a member of MPI for over 21 years and served as the VP of Finance for two years on the Rocky Mountain Chapter board. 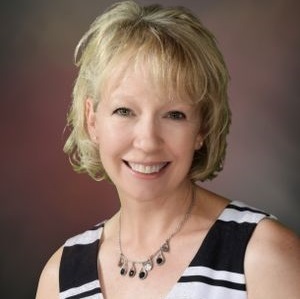 She also currently serves as the past president for the Southern Colorado HSMAI chapter. 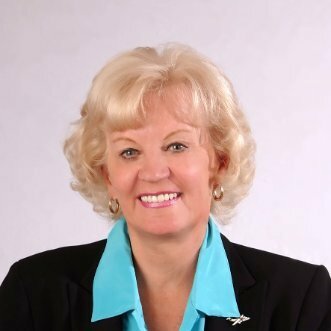 She was named into Colorado Meetings + Events’ Hall of Fame in 2009 as Supplier of the Year and received the Industry Legacy Award in honor of Sandy Gerety through the MPI Rocky Mountain Chapter in 2016. Kathy can be reached at kathy@visitcos.com or at 719.685.7632. 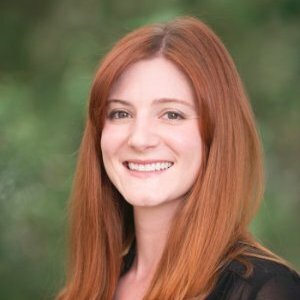 Ellen is Senior Manager, Global Group Sales representing Keystone, Breckenridge, Vail, Beaver Creek and Crested Butte resorts in Colorado for Vail Resorts Meetings & Events. She leads her sales team to best serve Colorado-based planners in fulfilling their meeting objectives and aspirational goals. This team will help secure ground transportation needs on Epic Mountain Express, hotel rooms, traditional and outdoor/ on mountain meeting space and dining, golf, skiing, lift tickets and much more. Ellen has been in hotel sales for twenty plus years. Her career started at Swissotel Boston, followed by sales at The Loews Anatole in Dallas, now a Hilton Hotel. In 1995, she moved to be Director of Sales and Marketing for the Loews Denver Hotel. In 2005, Ellen joined Vail Resorts and RockResorts in their Colorado national sales office. She is an active member of MPI, CSAE, and PCMA. Ellen is proud to have received the Industry Legacy Award in honor of Sandy Gerety through MPI’s Rocky Mountain Chapter in 2018. She can be reached at ecollins@vailresorts.com and at 303-881-7167. 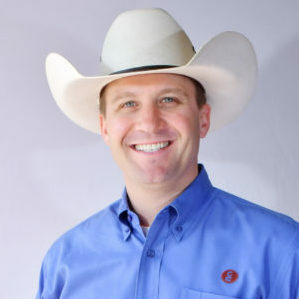 Brady Johnson is the Director of Sales and Marketing, making him responsible for all marketing and advertising efforts at the C Lazy U Ranch along with selling real estate, booking group events, and retreats. On top of these efforts, you can always count on seeing him taking guests on guided mountain bike rides in the summer and skiing in the winter. C Lazy U Ranch is the perfect place for Brady as an avid outdoorsman because he gets to show guests a unique experience from the moment they find us online or through friends, to the day of their departure. Tim serves as the Director of Sports and Specialty Markets for VISIT DENVER, The Convention & Visitors Bureau. 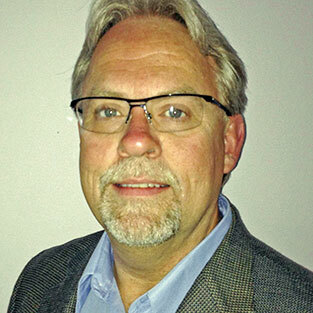 Tim has been a member of the VISIT DENVER sales department since March 1995. 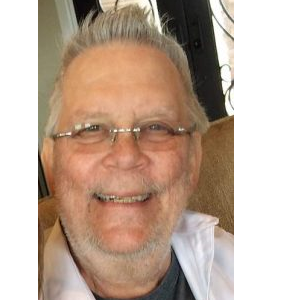 He was previously employed at the Warwick Hotel Denver, where he spent eight years in their sales and marketing department. Tim has been active in many organizations, including board and committee positions with Denver Sports, Meeting Professionals International Rocky Mountain Chapter, Society of Government Meeting Professionals Rocky Mountain Chapter, Hospitality Sales and Marketing Association International Mile High Chapter (and International Board of Directors for HSMAI), Colorado Society of Association Executives, Meetings Industry Council of Colorado, Colorado Sports Hall of Fame, Colorado State Travel Council, and the Kiwanis Club of Denver. Tim is a native of Colorado and lives in Lakewood with his wife, Cece, and has three children, and a grandson and granddaughter. Tim can be reached at tlitherland@visitdenver.com or at 303-571-9429. 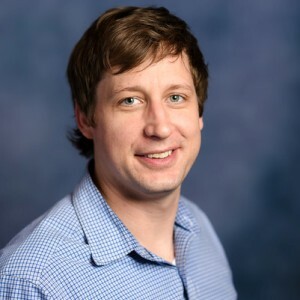 Thad worked the operations side of hospitality for 4 years as Front Office Manager before moving into sales for the past 10 years and currently is the Senior Director of Sales Manager for Devil’s Thumb Ranch Resort & Spa. During that time, he worked both sides of a wide variety of events. Thad’s experience has taught him both the planning process, execution of events and team leadership for a luxury mountain resort. Through benchmarking, industry events, and various hospitality associations, he has learned how properties of all different kinds operate. 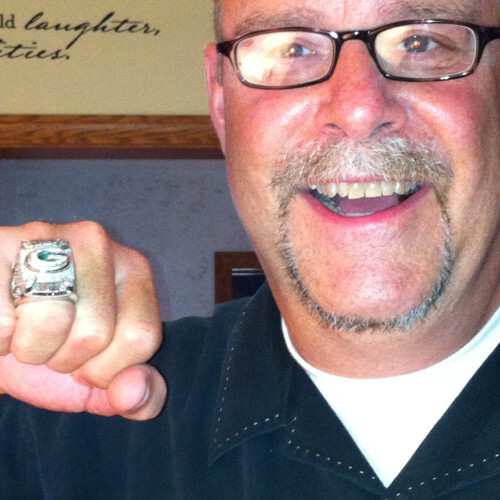 Thad’s passion for his career has created a unique understanding of the hospitality industry. Thad can be reached at 970-726-7011 or at tcarlson@devilsthumbranch.com. Lauren has been in the Hospitality industry for 15 years. She began her hospitality career in catering sales and services, transitioning into conference services, and then ultimately moving into national sales. She has been a National Sales Manager / Account Director for 11 years, and has worked with all market segments locally and nationally. In 2010 she earned her CMP, and shares a passion for both the sales and planning process. As a Colorado Native, Lauren’s love of the outdoors and mountains has fueled her experiences in selling mountain resort destinations. Lauren represents Hotel Talisa in Vail, highlighting the best of every region and every time of year. Lauren is currently a member of MPI, CSAE, and has had memberships in many other industry associations. You may reach Lauren at llacy@hoteltalisa.com, or at 303-204-0224. 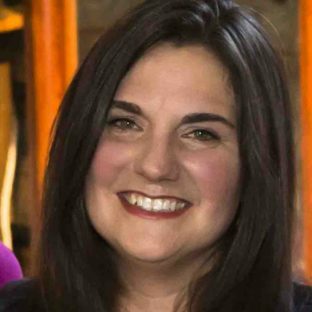 Kelly is a Colorado native and has been in the hospitality industry for nearly 20 years including Director of Marketing for the Vail Chamber and Tourism Bureau (now VVP) and Marketing Manager with the Sonnenalp Resort of Vail. 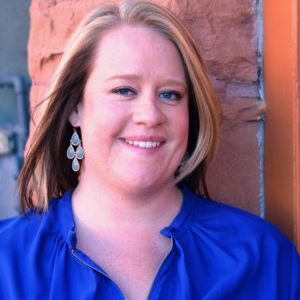 Most recently, she has been delivering exceptional group incentive experiences throughout the state and promoting Colorado as a group destination for meetings and events in her role with Operation Altitude, a Colorado destination management company. Outside of work, she enjoys finding new ways to embarrass her teenagers, hiking with friends, developing her photography skills and riding her horse. She can be reached at 970-390-8334 or kelly@opalt.com. 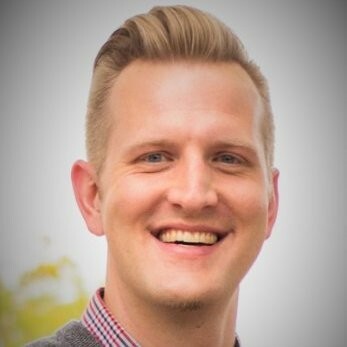 Justin is the Director of Sales for Visit Aurora where he represents Aurora by serving on a number of community and industry organizations including the Board of Directors for Destination Colorado, Colorado Meetings + Events Editorial Advisory Board, and Colorado Freedom Memorial. Clark develops and manages sales and marketing efforts for Visit Aurora and can be reached at justinclark@visitaurora.com. 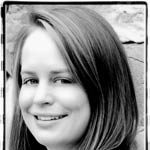 Sarah Reynolds Lasser is the Senior Director of Business Development at the Aspen Chamber Resort Association. joined the Aspen Chamber in 2010 after six years in hotel operations and catering and sales at The Ritz-Carlton Club Aspen Highlands and Hotel Jerome. She first came to Aspen on a college spring break and soon returned to launch her career and enjoy Aspen’s glorious summer months and great skiing. Sarah is a certified incentive specialist and member of Society for Incentive Travel Excellence and Meeting Professionals International. She enjoys traveling the world and lives Aspen’s mind, body and spirit idea. Sarah can be reached at sreynolds@aspenchamber.org or 970-920-7185. Meg is the National Sales Manager for The Steamboat Grand. The best part of her job is sharing her love of Steamboat & introducing meeting planners to this amazing destination. Her career started with Marriott International, which led her to working at Marriott Hotels in Denver, Chicago, Dallas & Minneapolis. Being a Colorado native, the mountains were calling her home and The Steamboat Grand was the perfect place to combine her passion for Steamboat and hotel sales. She enjoys tubing the Yampa River in the summer, skis every opportunity she has and loves spending time with her Family and Friends. Meg can be reached at 970-871-5537 or at mpalumbo@steamboat.com. Janet has had positions in sales and marketing in the hospitality business for 25 years. 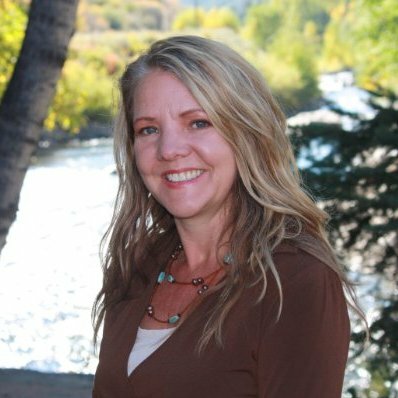 She has successfully represented city hotels and resort properties and is currently the Association Sales Specialist for Keystone Resort and Conference Center after working for Crested Butte Mountain Resort for the past 5 years as National Sales Manager. Prior to working for Crested Butte, she was with Hilton Hotels for 13 years. Janet is knowledgeable, enthusiastic and passionate about the hospitality industry. She understands the importance of involvement and is active in several industry associations. She served on the board with the Rocky Mountain Chapter of PCMA for the past four years, is an Ambassador with the Colorado Society of Association Executives and has recently joined the Destination Colorado Board of Directors. She is originally from Western PA and is still a Pittsburgh Steelers Fan. You will often find Janet with a camera in her hand taking photos of the beautiful Colorado landscape. Janet loves to mountain bike, ski and hike with her husband and two teenage boys and she looks forward to sharing her love of Colorado and the outdoors with you! 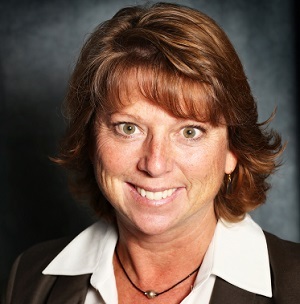 Deana Mitchell, CMP, DMCP, CCSE has over 27 years of experience in the hospitality industry. The first 10 years of her career were spent in restaurant and banquet management, and then proceeded on to conference, catering, and destination services. She has lived/worked in Snowmass, Aspen, Leadville, Vail, Telluride, Winter Park, Denver and also spends time in Colorado Springs. Deana has realized her dream of living in the Colorado mountains for the better part of the last 20 years. Her experience in the different facets of the hospitality world over the years, coupled with her travels and involvement in professional organizations, gives her the ideal experience to do what she loves – creating experiences for groups who want to come visit Colorful Colorado! Lindsey Rohrbaugh, has over 10 years of professional experience in the hospitality industry. 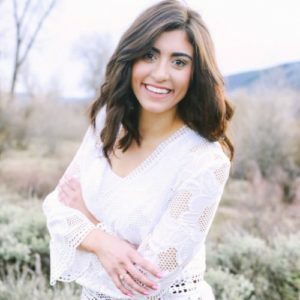 Currently Lindsey represents Visit Fort Collins as a destination expert, advisor, and connector with a goal to provide an elevated experience in Fort Collins. Lindsey has focused her career in the tourism industry in Colorado. Prior to starting her career, she was born and raised in Estes Park, where her parents and grandparents established their roots in the hospitality industry. Learning first hand from her family and industry mentors, she built her foundation upon strong work ethic, hospitality, relationships, and finding opportunities to uniquely collaborate. Graduating from Colorado State University in 2003, Lindsey focused her higher education on business administration and marketing. Early career days were spent dialing in sales technique and strategy, developing into a relationship approach, winning her a spot at the Fort Collins Convention and Visitors Bureau. 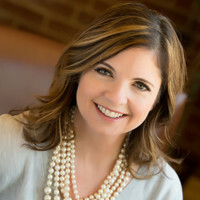 Starting out as the Director of Partnership and Conference Services, Lindsey doubled their partnership base in a three-year period, created added value programs, and serviced conferences to directly connect the meetings industry with their community. Lindsey graduated into destination sales in 2015. She is now able to blend her passion of the community with incoming groups, meetings, events. Lindsey loves world travel and learning about other people and cultures. She spends her down time enjoying the outdoors, competes in triathlons, and aspires to own a French Bulldog one day! Growing up on the beautiful Central Coast of California, Clay was exposed to the tourism industry at an early age. The Santa Ynez Valley is a smaller but well-known weekend getaway, and he got his first taste of hotels at age 17, working a local Marriott at the front desk. It wasn’t long until Clay decided to pursue a degree in Hospitality, Foodservice, and Hotel Management while attending California State University, Long Beach. During the summers, Clay cut his teeth at the Front Desk at Hyatt Regency Huntington Beach Resort & Spa. After graduating, he was accepted into the Corporate Management Training program through Hyatt Hotels, and landed in Denver in 2012. After three invaluable years of experience spent at Hyatt Regency Denver at Colorado Convention Center, Clay transitioned to the Destination Marketing Organization world, to the open arms of Visit Denver. It is here that he continued his growth as a hospitality professional and spread his wings as a Sales Manager. 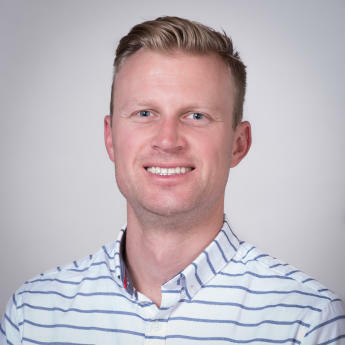 Clay’s passion for the industry was taken to the next level in this new role, as he truly enjoys sharing his love for Colorado to partners and client alike. He is thrilled to now be with the Boulder CVB team. 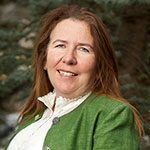 Sharon is the National Sales Manager at Copper Mountain Resort and has been in the hospitality business for over 20 years. A 30-year resident of Breckenridge, Sharon has served on numerous boards including The Colorado Society of Association Executives, Colorado Meetings and Events Magazine, Colorado Tourism Office and was past President of the Rocky Mountain MPI. Sharon also serves on local boards and is the recipient of many prestigious industry awards such as MPI-Rocky Mountain Region Supplier of the Year, CSAE Supplier or Associate Member of the Year, and Beaver Run and Copper Top Sales Person. As a seasoned businesswoman, Sharon is able to share her knowledge as an Associate Professor at Colorado Mountain College teaching “Intro to Business”. Outside of work and teaching, Sharon enjoys yoga, alpine skiing, hiking, boating and spending time with her husband, Joe, two sons, and their adopted Border Collie, Buddy. Sharon can be reached at sschoeffield@coppercolorado.com or 970-331-6918. Chris Bierdeman is the Tourism Group Sales Coordinator at Visit Loveland. Janie McCullough opened her own marketing consulting firm, McCullough Marketing, in 1996, specializing in marketing and communications for the tourism and hospitality industry. 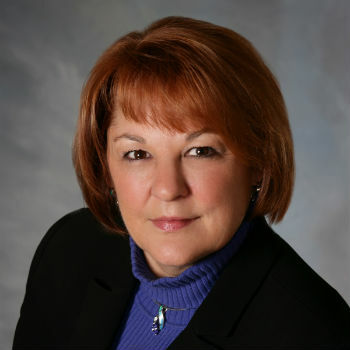 Prior to establishing McCullough Marketing, Janie served as Vice President of Marketing for Colorado Ski Country USA. Since opening her company in 1996, Janie has worked with a number of tourism related clients representing various segments of the tourism industry. A brief sampling includes: United Vacations, Destination Colorado, Waco CVB, Tourism Industry Association of Colorado, Kansas Travel & Tourism Division, The Silvertree Properties, Maggiano’s Little Italy and BEWI Productions. 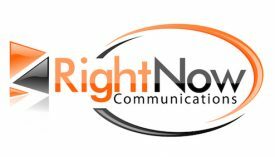 McCullough Marketing services include the development and implementation of comprehensive marketing plans, public relations for individual communities, properties, associations and special events, and client representation with other industry tourism partners. Janie is a graduate of Western State College in Gunnison, Colorado. She is married with two children. Destination Colorado has established strategic relationships with leading meeting publications, professional organizations, and sponsors to help us advance our mission to make your planning experience easier. Please visit their web sites for more information. Plan Your Meetings (PYM) is an educational and social resource for people who plan meetings and events. Everything we do is designed to educate, empower, inspire and connect them to the resources they need to plan better meetings and events. We do this by creating award-winning multimedia content online, digitally, on social networks, at live events and in an annual guide designed to be a keepsake that addresses current challenges and innovative solutions for the year ahead. On the other end of our B to B model are hotels, resorts, destinations and products and services eager to increase their groups & meetings business. PYM builds custom sales & marketing programs to help these suppliers build new relationships and increase meeting and event related business. Lisa has been in the hospitality industry for over 25 years. 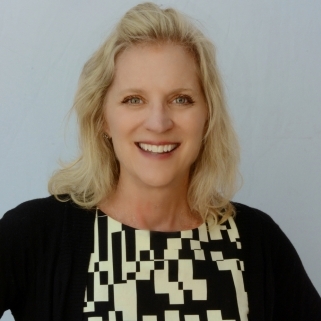 A Colorado native, Lisa began her hotel career in the Phoenix/Scottsdale market. After five years in the heat and desert, she relocated to northern California. Then back to Denver, then to Minneapolis and then back to Denver again where she plans stay, at least for a while. 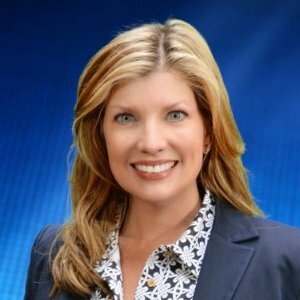 Lisa has worked at the property level and in regional capacities for hotel management companies with portfolios including various brands offering full-service, select service and extended stay hotels while overseeing top line revenues for up to 45 hotels at one time. 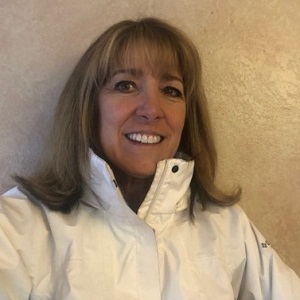 Cindy joined Destination Colorado in 1995 and represented 3 properties through her membership until 2014 when she transitioned from Sales into Operations in the Winter Park Resort Lodging division. Cindy served on the board from 2003 through 2013 in various seats, and still works for Winter Park in Homeowner Services and Acquisitions. Bruce is the Director of Sales and Marketing at Beaver Run Resort and has a very long history in the tourism industry in Colorado. Prior to Beaver Run, Bruce worked with the Sheraton at Steamboat. 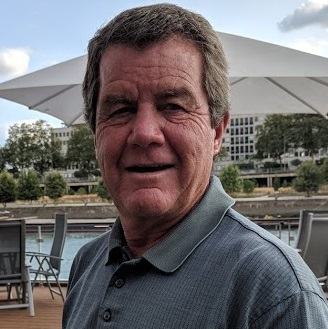 He has served on Destination Colorado’s Board of Directors for ten years and has played a large role in the development and promotion of the web site and our Destination Colorado Road Shows. 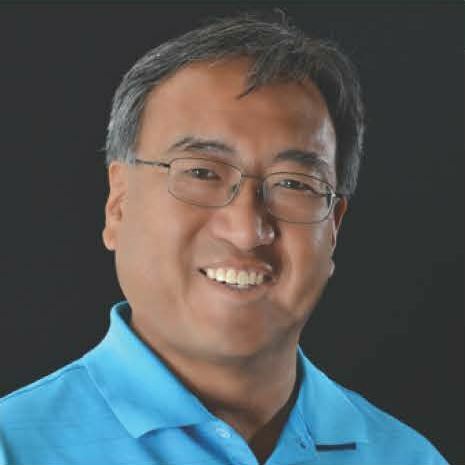 He also serves as our liaison with the Colorado Tourism Office’s Promotions Committee and serves as an advocate for the promotion of meetings through the CTO. Bruce has served on the Board of Directors of the Colorado Society of Association Executives. 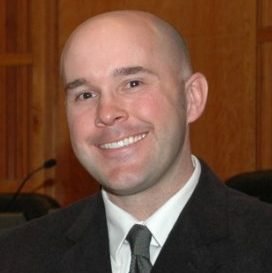 He is also very active in the Breckenridge community, serving on the Board of Directors for the Breckenridge Resort Chamber’s Central Reservations. 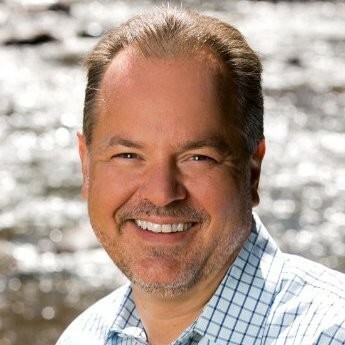 Bruce has previously served as President of Destination Colorado and will remain an active board member. 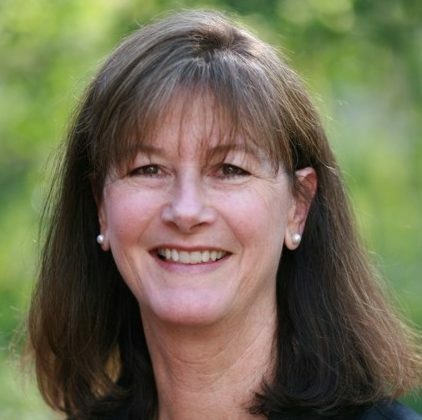 Patricia has been the Director of Sales and Marketing at the Sonnenalp Hotel in Vail from June 1983 – Present. She lives and breathes Vail! 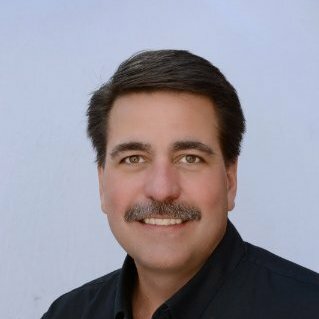 Rob serves as the regional vice president of sales & marketingfor 3 full-service resorts with $100 million in total annual revenues: Vail Cascade Resort, Vail, CO; Resort at Squaw Creek, Squaw Creek, CA; and, Town & Country Resort, San Diego, CA. Additionally, provide regional sales and marketing support for the Destination Rental Management portfolio of vacation condos, homes and villas located in Vail, Beaver Creek, Aspen, Snowmass, Park City and Hawaii, generating $85 million in total annual revenue. Jim’s dedication to his career in the hospitality industry led him and his family to the mountains of Colorado, where he enjoyed skiing Vail and Beaver Creek. For 41 years, since 1972, Pat Lee has been heavily involved in Colorado tourism. She was VP of Marketing for Aspen Airways/United Express, a regional air carrier in the West and then became Director of Destination Marketing for Continental Airlines. Pat was instrumental in the development of the American Rockies program, developing tourism to Colorado from Japan, Taiwan and Korea, raised funds to send the National Repretory Orchestra to Korea to represent the U.S. in the Olympics, and coordinated the opening of DIA for Continental Airlines, raising funds for the demised tourism industry plus the fundraiser for the International Pow Wow tradeshow held in Denver for the first time in 1991. Pat Lee was one of the key players in develoing Destination Colorado and it’s Front Range Tradeshow and she was the first President of Destination Colorado. In 1997 she started her own business, Pat Lee & Associates which is contracted to do the tourism marketing or special events for Cherry Creek Shopping Center, the premier tourism attraction in Denver, Denver Theater & Arenas representing 9 theaters and Red Rocks Amphitheater, and the National Western Stock Show. She is also a Senior Tourism Consultant for the Shop America Alliance which represents 200 US shopping centers in international markets. 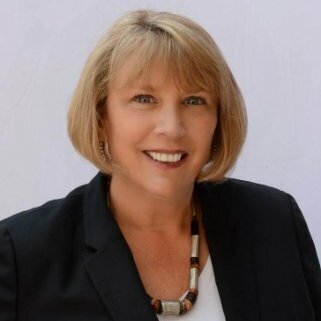 For 19 years, Pat has been on the Board of Visit Denver and currently serves on the International and Tourism Promotion Committee for the Colorado Tourism Board, Colorado Business Committee for the Arts, National Western Stock Show and the Telluride Tourism Board. Pat is the only recipient to have received the ‘Outstanding Tourism Individual of the Year” twice in the State of Colorado, once under Governor Romer in 1987 and then Governor Ritter in 2002. She was inducted into Colorado’s Tourism Hall of Fame in 2007. Scott currently serves as the Director of Marketing at Four Seasons Hotels and Resorts in Oahu – Ko Olina, Hawaii.